February is the coldest month in Canada, but winter festivals—and ski season—are still in full season. If you can brave a little chill, it's an excellent month to score discounts on lodging and travel. There are numerous travel bargains this time of year for visitors to the north, with lower than average airfares and hotel prices. The temperatures are cold but if you're prepared, you can enjoy the many activities and festivals that take place during February in Canada. Canada's weather can change considerably from region to region, but overall, February is among the country's coldest months, with lows in many places averaging well below 32 degrees Fahrenheit (0 degrees Celsius). February's cold temperatures call for clothing that can be easily layered—which is also important, as even though it's cold outside, stores, restaurants, and other establishments can be quite warm inside. Long-sleeve shirts, including sweaters and sweatshirts. Despite the freezing temperatures, Canada hosts plenty of events—indoors and out—in February. Nova Scotia Heritage Day: If the Maritimes are more your cup of tea, February is a great time to visit Nova Scotia. In addition to a wide variety of winter sports, you can check out the Nova Scotia Heritage Day on the third Monday in February. The day celebrating the rich heritage of Nova Scotia, including the Mi'kmaq First Nations population, was created and named by local schoolchildren. Hot Chocolate Festival: Vancouver's month-long annual charity fundraiser features dozens of bakeries, ice cream and coffee shops, and chocolatiers. A great way to keep warm with a tasty treat during one of Canada's coldest month, the Hot Chocolate Festival begins in late January and concludes on Valentine's Day (February 14). Free ice skating at Robson Square: Vancouver hosts skaters at its downtown gathering spot throughout the winter months. It continues through February. Dine Out Vancouver Festival: Originally envisioned as a way to drum up business during the slower tourist season of January and February, Dine Out Vancouver has become a must-visit for foodies in western Canada, featuring prix fixe menus from Vancouver's finest restaurants over a nearly three-week celebration. The Toronto Light Festival: This relatively new art festival featuring light-themed art installations runs from late January through mid-March. February is also the month when the winter culinary festival Winterlicious, featuring hundreds of Toronto restaurants, kicks off. ​Qinhuai Lantern Festival: And to mark the Chinese Lunar New Year, Toronto hosts this event in early February. The lantern festival is reminiscent of the new year events held all across China. Igloofest: An outdoor music festival started in 2007 to highlight local music, Igloofest is held at the Old Port of Montreal, and regularly draws thousands of visitors over its three-week run. One of the highlights of Igloofest is the "One Piece Suit" competition, and no, it's not a swimsuit competition. Even Quebecois aren't baring it all in these temperatures. It's a snowsuit competition, which can draw nice prices for participants (and is a much more climate-appropriate option). Montreal Snow Festival: Fete des Neiges runs every weekend from mid-January to mid-February. 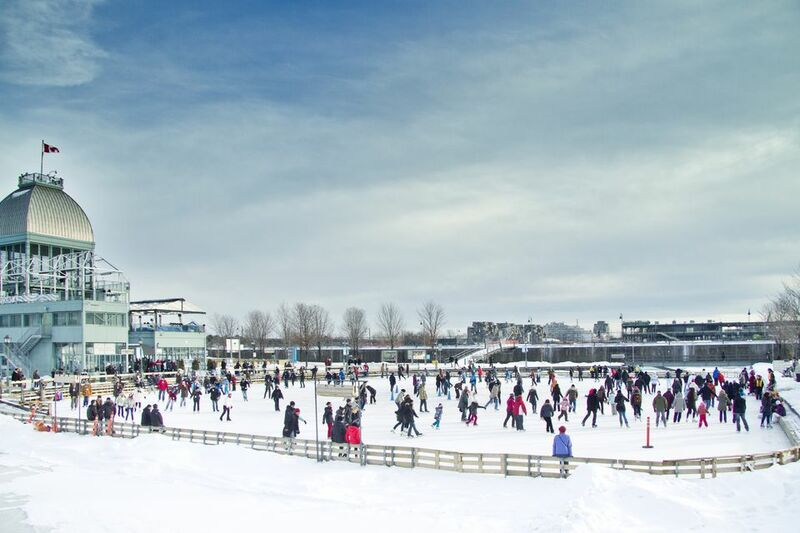 It's held in Parc Jean Drapeau, with activities for the whole family, including a playground with ice sculptures, a hockey tournament, inner tubing, skating, sledding, and snow-shoeing. There are live shows and food as well. Montreal en Lumiere: Don't forget to check out Montreal's Festival of Lights, which begins in February and runs through mid-March. The three-week festival features games, music, art displays and entertainment for families, and a vast array of culinary events, including the Festival of Quebec Cheeses. Driving in Canada during the harsh winter months can be treacherous if you're not prepared. Canadians know how to dress well for winter's freezing temperatures. Follow their lead by donning sturdy winter gear, including waterproof footwear and clothing. Two of Canada's best national parks, Jasper National Park and Banff National Park, are especially scenic during the winter. You can ice skate on frozen Lake Louise or relax in the Banff Hot Springs. Want to know more about visiting Canada? Learn about the best times of the year to visit.